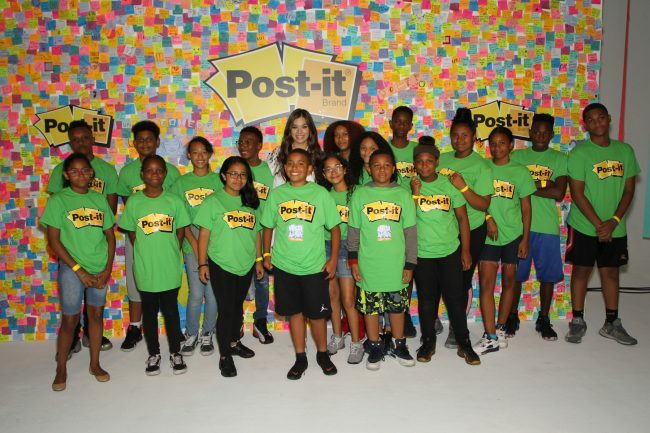 This week Post-it® Brand kicked off their “Make Your Dreams Stick” back to school campaign with singer/actress, Hailee Steinfeld. The campaign hopes to inspire students to dream big this upcoming school year by writing down their goals. By simply writing down your goal, you are 42% more likely to achieve it. During the Post-it® Brand event, students from the New York City chapter of national non-profit After-School All-Stars experienced an exclusive Q&A with Hailee and Remi Kent, Global Business Director of the Post-it® Brand. During the Q&A, Hailee discussed her personal goals for the upcoming year which include the continuation of her tour and the upcoming theatrical release of Bumblebee. She revealed that she’s extremely interested to see how the movie turns out since her character, Charlie Watson, was acting in scenes with a floating tennis ball. Hailee admits to being an avid note taker and loyal fan of the Post-it® Brand. She loves the idea to Make Your Dreams stick. Writing your goals down inspire you to get them done. 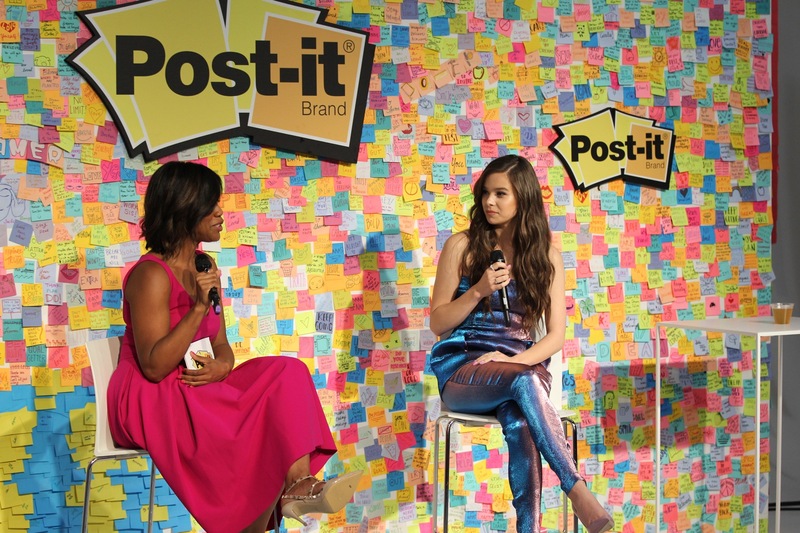 In addition to the Q&A, attendees got a chance to preview new Post-it® Brand products. If you’re interested in sharing your goals and inspiring others, simply tag your posts with #MakeItStick and follow along on Twitter and Instagram for more details! † Links contained in this post do not contain affiliate links.